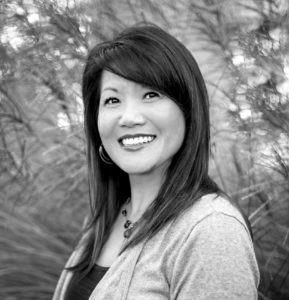 When it comes to working with an expert in the Real Estate Industry, Vivian is the total package. Her 27 years combined experience in Mortgage Lending, Marketing, Title Insurance, Financial Planning and as an Escrow Officer, makes her a rare commodity among Real Estate Professionals. Vivian has truly come "Full Circle" with knowing all sides of the Real Estate transaction. Her business name is aptly called "Full Circle Real Estate." She has advanced financial and business strategies that has proven to be invaluable to her clients when making the largest financial decision of their lives. Not very many Realtors can say they have sat on "All Sides" of the closing table and have experienced the behind-the-scenes process that leads to a successful transaction. Vivian has intimate knowledge and experience working with First Time Home Buyers, Foreclosure Prevention for Sellers, Sophisticated Investors, New Construction, remodel and design, private financing contracts, clearing liens and the entire escrow settlement procedure. Her acute attention to detail, innovative marketing strategies and a win-win negotiation style are testaments as to why clients continue to refer her. You will have complete confidence that Vivian will advocate for you every step of the way. Vivian has made Boise, Idaho her home for the past 40 years, where she attended Borah High School and Boise State University. Being a natural entrepreneur, she has owned and operated an outfitting and guide business, owned a short sale processing company and has obtained several professional licenses. She has a can-do attitude in anything she pursues. In her spare time, Vivian enjoys bird hunting with her German Shorthair Pointer, backpacking to high mountain lakes, mountain biking in the Boise foothills, snowboarding at nearby Idaho ski resorts, camping and rock climbing. Vivian is married to her husband, Jarod who is an Electrical Contractor and has two sons who also live in Boise. Vivian is an avid whitewater rafter and founded Whitewater River Chicks. She empowers and inspires women to learn safety techniques and independence on Idaho rivers by holding annual safety clinics. Vivian truly knows how to live the Idaho adventure lifestyle. Let Vivian be your guide to living YOUR Idaho dream!